This article is transcribed from New Zealand’s heritage: the making of a nation. Sydney: Hamlyn House, 1971. v4 pp466-471. We are pretty sure that our close family friend Anthony Murray-Oliver was the author because of the writing style and the fact that he was regarded as the “expert” on New Zealand colonial era art in the 1960s and 70s. The writer also makes frequent mention of the Turnbull Library (where Tony worked) and its publications, and the references to Avon Fine Prints and to the book Early Prints of New Zealand written by my parents prior to its publication (it didn’t come out till 1978 and he would have been one of the very few people who would have known about the project back in 1971). Visiting draughtsmen, botanists and others who were soldiers, surveyors and politicians were among the men who first portrayed the land and its people. The first European artist to visit New Zealand, Isaac Gilsemans acted as draughtsman to Tasman on his voyage of discovery. Although he did not set foot ashore, Gilsemans drew the first picture of Maoris, at Murderers Bay (now known as Golden Bay, Nelson) in December 1642. His crude representation in Tasman’s journal was first published in 1692, redrawn by the engraver. The original was not reproduced until a facsimile of the journal appeared in 1898. One hundred and twenty-seven years passed before Europeans came to this country again. Sydney Parkinson (1745?-71), employed by Banks on Cook’s first voyage, made thousands of sketches, many being fine watercolours. Some hundreds are of New Zealand landscapes, plants, the Maoris and their way of life. Apart from their beauty, these are of immense historical interest. Parkinson was among many of Cook’s men who died on the voyage home, from fever and dysentery contracted at Batavia. The engravings in his journal, published by his brother, vary from those after Parkinson which illustrated Hawkesworth’s official account of the voyage. Official artist on the second voyage was William Hodges, R.A. (1744-97), who was employed by the Admiralty for two years afterwards, making oil paintings from his sketches. These hang in Admiralty House and the National Maritime Museum, Greenwich. Of the four New Zealand oils - all of Dusky Sound - one showing a Maori figure was acquired by the Auckland Art Gallery in 1965. There are fine washes and chalk drawings, some of Maoris, in the Mitchell Library, Sydney. Oils were also made after the third voyage by John Webber, R.A., (1750?-93). As with Hodges, his sketches made as official artist are of greatest interest. Again, few are of New Zealand. The Suter Gallery, Nelson, owns Webber’s oil of Ship Cove, Queen Charlotte Sound, long incorrectly titled Cook’s Cove; the National Art Gallery has one of his three portraits of Cook; the Hocken Library, Dunedin, holds two watercolours, of Tahiti and Hawaii. 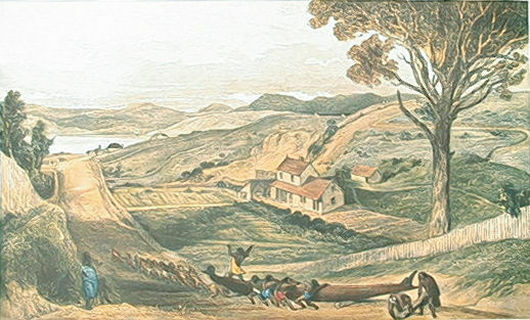 For some years Webber was engaged in making aquatints from his drawings - the only local scene being that of Ship Cove - which were published posthumously as Views in the South Seas by James [sic] Webber. 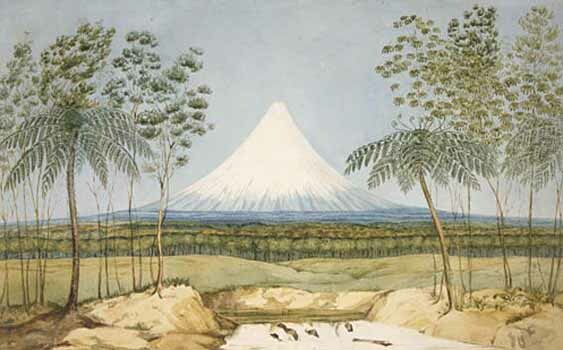 There are other New Zealand pictures, by Herman Diedrich Sporing (ca1730-71), Banks’s Swedish naturalist - and Cook made a few simple pen-and-ink copies of some of Parkinson’s views. In 1773-74 Johann George Adam Forster (1754-94) made noteworthy watercolours of New Zealand birds; his sketchbook of New Zealand plants is in the Alexander Turnbull Library, Wellington. 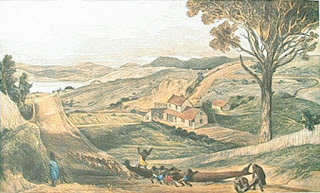 William W. Ellis (d.1785), surgeon’s mate on the second voyage, painted very beautiful watercolours, notably one of the entrance to Dusky Sound, now in the Mitchell Library, Sydney. Until recent years the work of these artists has been known only at second-hand, through redrawn engravings, but many were reproduced in black and white in J.C. Beaglehole’s edition of Cook’s Journals. 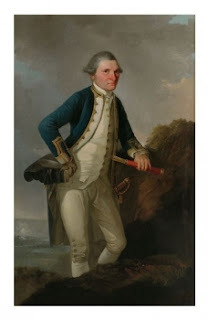 A large number were reproduced in colour for the Cook Bicentenary, in The Voyages of Captain Cook by Rex and Thea Rienits and Captain Cook’s Artists in the Pacific by Anthony Murray-Oliver. There are also modern colour prints of some engravings. Apart from Augustus Earle in 1827-28 the only other trained artists to come here before colonisation were those accompanying several French explorers. Two are outstanding: both were with Dumont D’Urville and engravings after their pictures illustrate accounts of his voyages. Louis-Auguste de Sainson (b.1801) was here in 1826-27 and made good views of Kororareka. Louis le Breton (1790-1866), a surgeon, in 1840 also made Maori studies as well as landscapes. Few originals are available but the Hocken Library holds le Breton’s excellent watercolour of Port Otago. Of early transients Conrad Martens (1801-78) was most fleeting. Distinguished among Australia’s earlier artists, Martens replaced Earle as FitzRoy’s artist on H.M.S Beagle but from South America moved on to Sydney via Tahiti, and Kororareka - for five days, in 1835. Several of his views of the settlement are in Australia but the only one in New Zealand is in the Alexander Turnbull Library. While much of our more important colonial art was executed in the course of the artists’ employment in other professions, some tuition in art was usual for most educated persons. Many sketched for their own pleasure or for the benefit of relatives and friends in England. New Zealand inherited the tradition of the English watercolour school, well suited to the topographical paintings that record the early landscape. The country has pictures by hundreds of amateurs painting in New Zealand last century. Though they varied in quality, many were highly skilled. Only a very small proportion can be mentioned here. Most of our early artists are little known and since they seldom signed their work, identification is difficult except to those who have studied their styles. Many pictures are preserved in England and Australia but the Alexander Turnbull Library, the Hocken Library, the Auckland City Art Gallery and other New Zealand institutions hold thousands of paintings and drawings and a small number are available in published form. First and best known of our colonial artists, Charles Heaphy, V.C., arrived in 1839 with Colonel William Wakefield, as artist and draughtsman to the New Zealand Company. In 1840 in the Company’s second ship, the Cuba, came their first Surveyor-General, Captain William Mein Smith (1798-1869). At the expiration of his contract he took up land in the Wairarapa. As an artist Mein Smith is surprisingly unknown, considering the quality of his watercolours and drawings, of which 105 are in the Turnbull collections. Important artistically and historically, they include views in Canada and Gibraltar where he had seen service. Amateurs such as Joseph Jenner Merrett (1816-54) are invaluable in our early pictorial records. Merrett, arriving in Auckland in 1840, was employed as a surveyor and Maori interpreter; as an artist he later enjoyed the patronage of Sir George Grey. In style he was almost a primitive The features of his Maoris are quite European, yet his figures have a unique “Maoriness” captured by few others. There are two lithographs after Merrett, one including Hone Heke and another of a Maori feast at Remuera, 1844, of which a modern reproduction has been published. Several of his watercolours are in the Turnbull Library and others may be seen in the Gallery and Public Library in Auckland and in the Hocken Library. 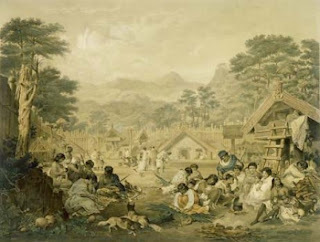 Lithograph of John Gilfillan's "Interior of a Native Village"
John Alexander Gilfillan (1793-1863) was an established artist in Scotland before emigrating to Wellington in 1841, taking up farming near Wanganui the next year. After the death of his wife and four children at the hands of Maoris in 1847, Gilfillan left for Australia. His rare lithograph of Putiki Pa, recently republished, is well known but his skill can be discovered only in his sketchbooks in the Hocken collection, together with a superb oil of a Maori meeting; and the Turnbull’s watercolour of Kapiti and the 1842 sketch of Te Rauparaha purchased by the Alexander Turnbull Library Endowment Trust in 1970. Not to be confused with his namesake who came to New Zealand as Attorney-General in 1841, in the same year William Swainson, F.R.S., F.L.S. (1789-1855) came to the Hutt. A distinguished naturalist whose Birds of Brazil is a classic, Swainson took up farming despite Maori harassment. In the 1850s he was engaged by State Governments in Australia as a botanist, but then returned to the Hutt. He made many hundreds of brilliant pencil drawings, mostly in Wellington province. The largest collection, of 200 - including beautiful wash drawings of Sicily - is in the Turnbull Library, with several hundred natural history drawings as well. Other collections are in the Auckland Institute and Museum library, the National Art Gallery, the Dominion Museum, the Hocken Library and the possession of the artist’s descendants. An important arrival in 1842 was Samuel Charles Brees (1810-65), successor to Mein Smith. He carried out useful surveys for the Company, including the route to the Wairarapa across the Rimutakas. 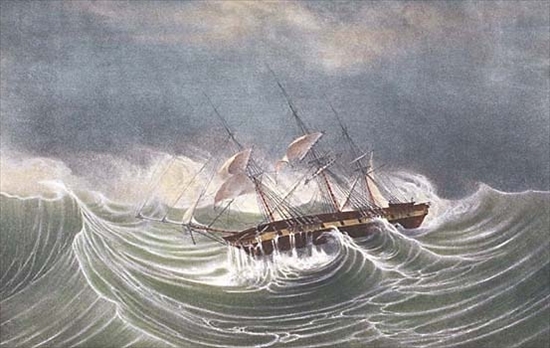 Ironically, he is noted for the black and white engravings made by Melville from his watercolours for the artist’s Pictorial Illustrations of New Zealand (1847) published in London in several editions. There are modern colour reproductions of four plates and in 1968 Avon Fine Prints Ltd published a facsimile edition from the Turnbull’s rare hand-coloured copy. This library holds 32 Brees watercolours, a few are in private hands and the Hocken has a major watercolour of an 1843 Maori meeting in the Wairarapa. Several cadet surveyors accompanied Brees, one being Edmund Norman (1820-75), who later lived in Canterbury for 20 years A few of his finely detailed pen-and-pencil sketches are found in the Turnbull and Hocken collections, and excellent lithographs of Wellington, the Canterbury Plains and Lyttelton - the latter two being reissued in 1970. A great French etcher, Charles Meryon (1821-68), served in the corvette Le Rhin at Akaroa, 1843-46. In 1848 Meryon exhibited at the Paris Salon a huge drawing reconstructing the death of Marion du Fresne at the Bay of Islands in 1772. Despite inaccuracies of presentation, it is a major work. Part of the Rex Nan Kivell Collection in the National Library of Australia, the picture was presented to New Zealand in 1967 on the visit of Australian Prime Minister Harold Holt and placed in the Turnbull Library. 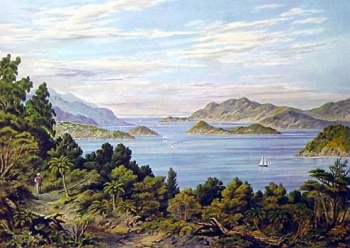 Meryon published a volume of Pacific etchings in 1868, four showing Akaroa in 1845. Since Cook’s Voyages appeared, most New Zealand engravings in England and Europe derived from plates in that publication, until the advent of missionaries in 1814 and colonisation in 1840 stimulated interest in this country. Far more illustrations of New Zealand appeared than is generally realised. An invaluable forthcoming publication from Avon Fine Prints Ltd., Early Prints of New Zealand, by E.M. and D.G. Ellis, provides an annotated checklist of all those issued between 1642 and 1875. Many early pictures were re-engraved again and again, often becoming quite misleading. Original artists were rarely acknowledged. The Illustrated London News commenced in 1842 and for over 20 years published numerous New Zealand scenes. Some early views have often been used in modern books. The best collection, in black and white, is the outstanding pictorial history, Making New Zealand, published by the Department of Internal Affairs for the 1940 Centennial and matched only by New Zealand’s Heritage. Increasing interest in our early art has been encouraged by the annual colour print series published by the Alexander Turnbull Library Endowment Trust Board since 1963. The Hocken Library and commercial firms have since entered the field. Edward Jerningham Wakefield accompanied his uncle in the Tory and in 1845 his Adventure in New Zealand, published in London, was accompanied by a separate folio of 20 black-and-white plates - again there is a hand-coloured Turnbull copy. The Illustrations were after such artists as Heaphy, Mein Smith, Brees and Fox, employed by the Company. A.H. and A.W. Reed issued a facsimile in 1968. K.C.M.G. (1812-93), until latterly known chiefly as a politician. Several times Premier for brief periods, he was knighted in 1879. As an artist he is now considered, at his rare best, to rival Heaphy. Fox arrived at Wellington in 1842. For some years he worked for the Company before entering politics, carrying out explorations in the Wairarapa (1843); and the Nelson back country (1846-47) with Heaphy and Brunner, where he did some of his most brilliant watercolours. Although lacking the easy technical skill of Heaphy, Fox could respond superbly to the New Zealand scene, capturing it without any intrusive anglicisation - a fault in so many of his successors. The hundred watercolours Dr T.M. 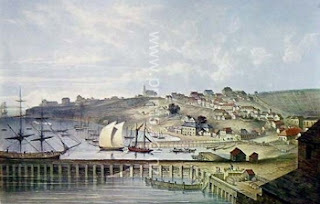 Hocken received from the artist include some of Fox’s best work - notably views of Auckland and Wanganui in the 1850s - as do the 20 purchased by Mr Alexander Turnbull in 1915. The latter, with Heaphy’s and Mein Smith’s, came from the New Zealand Company’s archives. Nine paintings by Fox have been reproduced as colour prints by the Turnbull Library, four being selected from the 250 in the Wilkie Loan Collection. A lesser but more widely known artist than Fox - or Earle, though like him he spent only six months here - George French Angas, F.L.S., F.Z.S. (1822-86), came from South Australia in 1844. Most of his visit was spent in the Taupo and Wellington areas. A facile and competent artist, Angas specialised in native studies and his records of the Maori are important though the features are too European. Most of his watercolours are in the South Australian Museum but the Turnbull purchased two in 1969 - one a portrait of Tamati Waka Nene - and already held an album of preliminary sketches for New Zealand watercolours. Angas is famous for his large volumes of colour plates, The New Zealanders Illustrated (1846-47), South Australia Illustrated (1847) - both reproduced by Reed in 1966 and 1967 - The Kaffirs Illustrated (1849) and Savage Life and Scenes in Australia and New Zealand (1847), illustrated in black and white. His New Zealand watercolours have also been reproduced by Reed. Typical of many young men of good family who came to New Zealand to attain considerable success is Sir Frederick Aloysius Weld, G.C.M.G. (1823-91). Arriving in 1844 he left in 1867, being Premier 1864-65. He was knighted in 1880, having held several colonial governorships elsewhere in the Empire. Virtually undiscovered as an artist, Weld was a most accomplished watercolourist. A few of his paintings are in the Canterbury Museum. Throughout the British Empire soldiers and surveyors were prominent as early artists. New Zealand was unusual in that here surveyors preceded the soldiers. 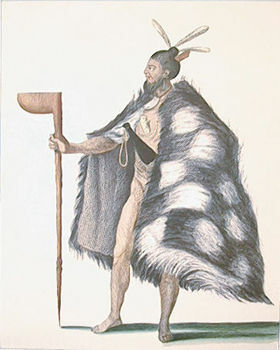 The first Maori-European wars broke out in 1845 and several soldier-artists made useful records of he campaign and its milieu. Officers received some sketching tuition as part of military training and many were proficient in watercolours. Two of particular interest are Colonel Cyprian Bridge (1808-ca.83) and Lance-Sergeant John Williams, both of the 58th Regiment. Bridge, then a major, kept a most unusually candid journal of the Northland campaign against Hone Heke: a transcript is in the Turnbull Library, with some 50 pictures by the two artists, some being alternative versions. Supplying excellent illustrations of the war, some were used in James Cowan’s The New Zealand Wars and two have been published as Turnbull prints. Williams was the better colourist but most of his watercolours, including four in the Hocken, are copies of Bridge’s. Another soldier-artist of merit was Lieutenant-General George Hyde Page (1823-1908) who, as lieutenant in the 58th, also came here with reinforcements in 1845. The Turnbull has five of his paintings, one in oils. Lieutenant-General Charles Emilius Gold (1803-71) was colonel of the 65th Regiment, stationed in Wellington from 1846 to 1858. The Turnbull’s Gold collection, recently augmented by purchases in London, contains 37 watercolours, some of much historical interest. Gold was an amateur artist but his work has marked appeal. Although some of Cook’s New Zealand charts remained in use for two centuries, more detailed charting of our coasts was an early necessity. Admiral Richard Aldworth Oliver, R.N. (1811-89) as captain was in command of H.M.S. Fly surveying New Zealand and Pacific waters. He was a sensitive, accomplished amateur who painted many landscapes and Maori studies. A large collection, held by his grandson in England, was exhibited here between 1948 and 1952. In 1852 eight coloured lithographs by Oliver were published in London as Sketches in New Zealand, now a collector’s item. Three watercolours are in the Turnbull collections, with photographs of those in England and photocopies of Oliver’s New Zealand journals. The year 1849 saw three important arrivals. Patrick Joseph Hogan (1805-78) came to New Zealand as a soldier but took up art and surveying until leaving for Sydney nine years later. Frequently used as illustrations are four very fine lithographs of Auckland in 1852 after Hogan. A hand-coloured set in Government House, Auckland, was recently reproduced, as was a fifth lithograph, the original watercolour of the latter being in the Auckland Institute and Museum Library. John Buchanan (1819-98) reached Dunedin in 1849 and was first a surveyor, laying out Dunedin, then botanist and draughtsman to the geological survey service. His book on New Zealand grasses was published in 1880. In the Hocken Library are eight watercolours, that of Milford Sound being unexcelled among New Zealand paintings. There are 36 Buchanan pencil sketches and wash drawings in the Turnbull collections. Gully, but his reputation is rising again as he becomes better appraised from the 250 Turnbull watercolours, most of which were made in the field. Five have been issued as Turnbull prints. Barraud was inclined to overfinish work intended for exhibition. He achieved great success with his volume of chromolithographs, New Zealand: Graphic and Descriptive, published in 1877; a few of the plates have been reissued lately. Barraud was the first president of the New Zealand Academy of Fine Arts, which he was instrumental in founding in 1889. He was among the first wave of New Zealand artists, those who were consciously (even self-consciously) artists, whose work began to attract public attention. This marked the change in social attitudes which enabled the next generation to accept the possibility of art being a profession in New Zealand.